Let’s get the name cliché out of the way first. Yes they are, well at least three-fifths of them. Onto more important matters and Sons of Bill demonstrated in Birmingham tonight why their star is set to shine a lot brighter in the UK in years to come. The five-piece band from Charlottesville, Virginia are only on their second UK tour but the growing audience numbers, continuing positive universal reception and enhanced wider press is making that spotlight brighter with each gig and record. A versatility to successfully sway between tender harmonies and fully optimum amped up rock while calling at many points in between give Sons of Bill a massive head start when either hitting the studio or the stage and what emerges is one of the finest alt-country bands plying their trade on both sides of the Atlantic. Bill Wilson’s three sons – Abe, Sam and James – once again show how sibling integration can be a vital ingredient in a successful music act and thus join a long list of family artists who have graced one genre of influence for the band in country music. Each brother brings something diverse to the band whether vocally and musically on stage or creatively within the organic development of their songs. Sam excels on lead guitar including a stunning solo piece in this evening’s encore and he also stepped forward to sing a song he wrote, ‘Radio Rewind’. James fronts the band on vocals, electric and acoustic guitar displaying a flexible style to suit the mood of each track, while Abe settles to flourish behind the keyboards alongside adding valuable, and possibly under used, vocal contributions. The band shared their enthusiasm for the new album with this Birmingham crowd who were vociferously eager to make up for those not wanting to venture out on a Tuesday evening. LOVE AND LOGIC has not been short of critical acclaim and there were plenty of opportunities to hear why during this set approaching an hour and half in length. ‘Brand New Paradigm’ is the stand out song on the record and was well received tonight being played alongside other tracks from the album such as ‘Big Unknown’, ‘Bad Dancer’ and ‘Fishing Song’. From their back catalogue, ‘Virginia Calling’ was a particular highlight and one of the less intense songs amongst a smattering of beat driven guitar anthems perfectly constructed for the live arena. 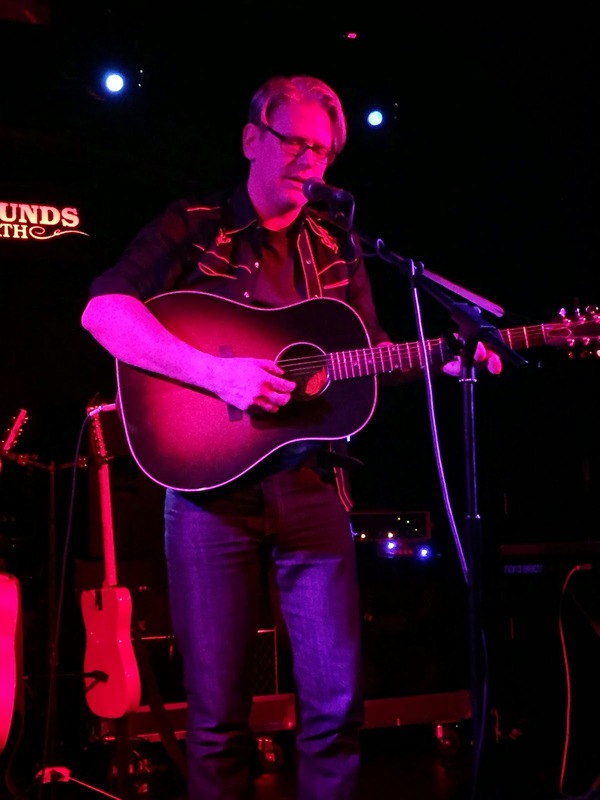 A worthy mention must go to one of the bedrocks of the UK alternative country, folk and Americana scene as Paul McClure made a rare visit to Birmingham to share his songs, wit and aura, all in his own words as ‘not that good as to show up the main act’ or a similar phrase. 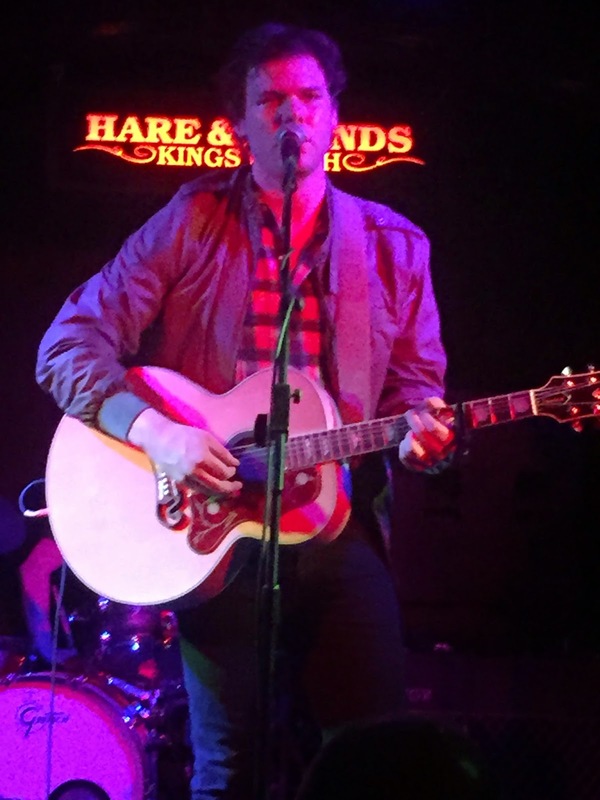 In true Paul McClure style, the dry put downs were on top form and his underwhelming approach to stage banter complements perfectly the highly competent performance of his appealing and substantial songs. Among the numbers piercing the humour tonight were ‘Pollyanna’, ‘Song 6’ and a personal favourite, from his self-proclaimed “third debut album”, ‘For You’. House concerts and play where the customers are continues to be an important and sensible part of Paul’s music mission with a high recommendation to engage with him from these quarters. However the final word must reside with Sons of Bill and not forgetting the two non-Wilson band members in bassist Seth Green and percussionist Todd Wellons. James rounded the evening off with full appreciation to Cosmic American promotions for believing in the band and introducing them to a UK audience with the compliment returned via a glass of bourbon to help him through the final songs. The abiding memory of Sons of Bill is their exceptional way of weaving delightful two and three part harmonies into superb guitar and keyboard fuelled songs. The lineage for such bands in the US stretches back decades but Sons of Bill are very much the present and no doubt the future as well.